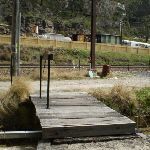 From the station car park, this walk heads across the railway tracks to the picnic tables and information signs saying ‘Zig-Zag Railway’, next to the railway station. From here, the walk turns and heads behind the buildings and parallel to the old railway tracks. After a short while, the track comes to an intersection with a management trail on the right, that heads away from the railway tracks. Turn right: From the intersection, this walk heads away from the railway track and follows the small markers along the wide trail. 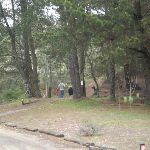 Continuing past the fence (off to the right), the trail soon changes to a bush track, and then winds slightly down the hill. 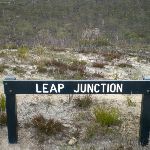 Heading up the other side, the track follows the markers along the ridge until reaching a lookout, signposted ‘Leap Junction’. 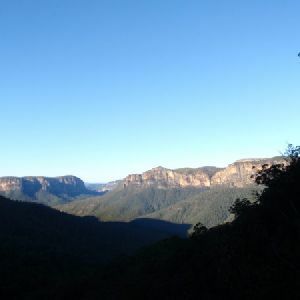 Once on the ridge, the surrounding environment is extremely barren and this provides some good views over the area, including the railway to the north-west. 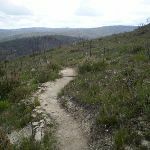 Turn right: From the lookout, this walk heads down the hill along a faint track, following the white markers. 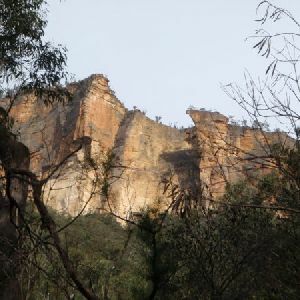 Gradually, this steepens until reaching a large rock platform, directly overlooking the railway station. 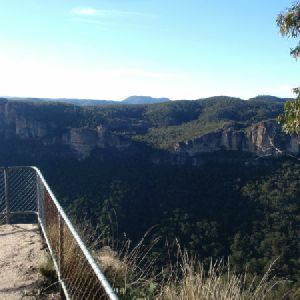 From the rockshelf, the track steepens even further and metal railings, steps and bridges have been constructed to help with the descent. 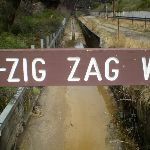 After a while, the walk crosses a small bridge and passes a signpost saying ‘Zig Zag Walkway’, entering into the railway station. Continue straight: From Bottom Points Railway Station, this walk takes a steam train back to Clarence Station. 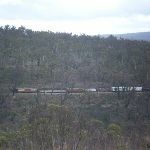 Steam services operate on: Weekends and Public Holidays, Wednesdays and NSW School Holidays (except Christmas Day). 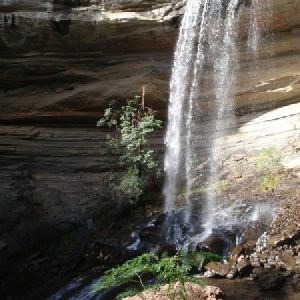 The trip takes approximately 40 minutes and run at 9:50, 11:50, 1:50 and 3:50. Adult fares are $17 one way. 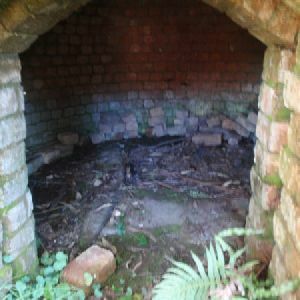 (Please check Zigzag Railway website for changes in information). More info. 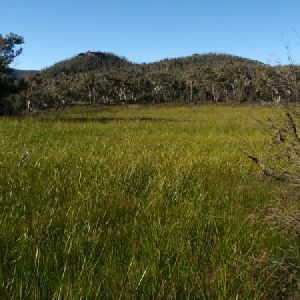 860m of this walk has gentle hills with occasional steps and another 730m has short steep hills. The remaining (690m) is flat with no steps. 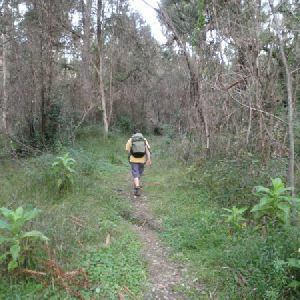 Around 1.6km of this walk follows a formed track, with some branches and other obstacles, whilst the remaining 690m follows a clear and well formed track or trail. This whole walk, 2.3km is clearly signposted. 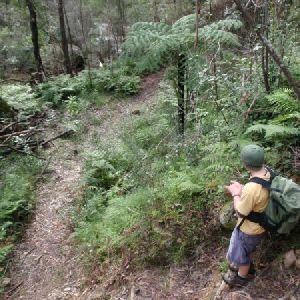 Around 1.6km of this walk requires some bushwalking experience, whilst the remaining 690m requires no previous bushwalking experience. This whole walk, 2.3km is not usually affected by severe weather events (that would unexpectedly impact safety and navigation). 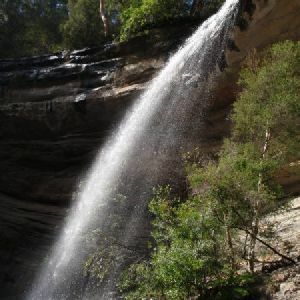 This whole walk, 2.3km has limited facilities (such as not all cliffs fenced). 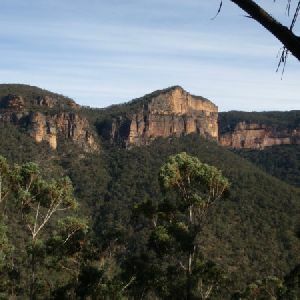 A list of walks that share part of the track with the Zig-Zag Railway Walk walk. 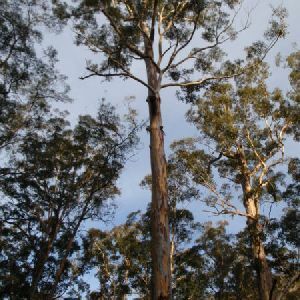 A list of walks that start near the Zig-Zag Railway Walk walk. 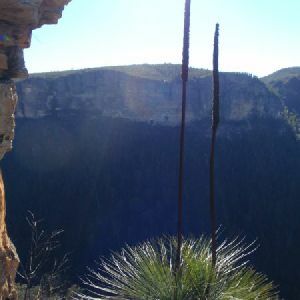 http://new.wildwalks.com/wildwalks_custom/includes/walk_fire_danger.php?walkid=nsw-wolleminp-zrw Each park may have its own fire ban, this rating is only valid for today and is based on information from the RFS Please check the RFS Website for more information.